Steve Michael’s first book, How To Play Baseball Outfield: Techniques, Tips and Drills to Learn the Outfield Position, is a hit! NOW! My outfield book is available in both print or .PDF formats. 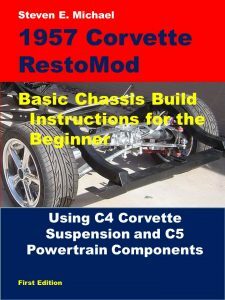 The 1957 RestoMod chapters are ONLY available in .PDF format. Chapters can be purchased individually, or in groupings. I am a self-publisher, which means I copyright and publish my books without the use of third-party publishers, distributors or bookstores. The only place to buy my books or chapters is through this website. I chose to self-publish so my books and knowledge go directly to the public without any middlemen cluttering up the journey. I am a one person publisher which is good for you and me. It means I write and publish and fulfill your orders. For you it means easier ordering, timely receipt, and direct contact with the author.